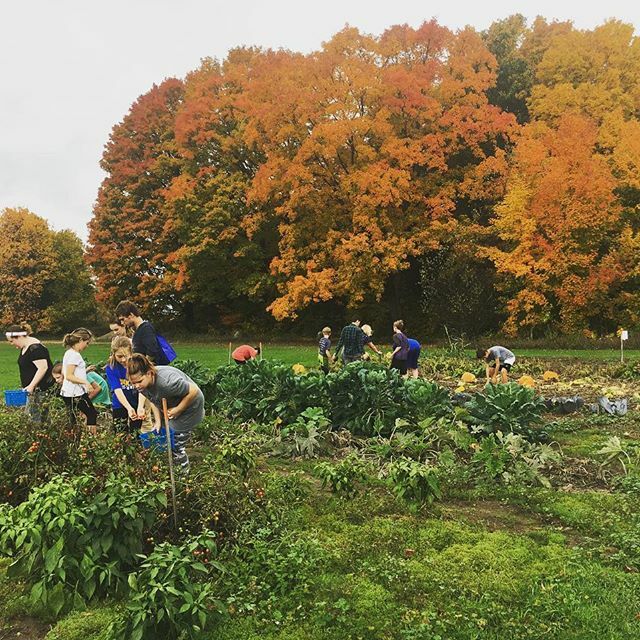 Tuesday, October 9, 2018, was a good day for Alice Bowe, coordinator of Farm to School programs at the Traverse Bay Area Intermediate School District. For one thing, she harvested a special squash. It was special for a couple of reasons. Kids at the school had planted the seed that grew the squash, and they were excited to see what they had achieved. What's more, the squash itself was special, an ancient indigenous variety called Lakota. The seed from which it grew was one of just three seeds the Grand Traverse Band of Ottawa and Chippewa Indians gave to Traverse City’s Central Grade School. The seeds were precious, rare, and Alice felt honored to be entrusted with giving the growing a shot, trying to coax a fresh, new squash from these seeds of Lakota. “I babied that squash all summer,” Alice says. And despite being “nibbled on by some animals,” the squash grew. But to be honest, Alice’s pride in the squash was mixed with a little disappointment, maybe even embarrassment, because the squash was the one and only squash that had come from the three seeds. She didn’t mention her concern to the elementary students who helped with the harvest, but she was wondering, with just one squash to show, would the band ever want to give the school seeds of the ancient Lakota squash again? “But then I was talking with Samantha Two Crow, Cultural Director with the Traverse City Area Public Schools Title VI office, and she said that as far as she knew, this was the only squash that grew from the entire stash distributed last year!” Alice says. The Lakota squash harvest is just one tiny piece of what Alice does with the Traverse Bay Area Intermediate School District Farm to School program, but it shows how the program mission goes beyond getting local food into school cafeterias (important as that is!). The Farm to School work is ultimately about creating a culture of healthy food. That culture can be nurtured through activities like growing an ancient squash, a squash that is connected to this region and that has sustained people here for hundreds if not thousands of years. “We use the three C’s of Farm to School,” Alice says. “Classroom, community and cafeteria. Those are the three theaters we work in.” Classroom would include educational activities in class. Community could include bringing farmers to school or having a pop-up farmers market. Cafeteria would entail serving locally grown food at lunch. The garden work ties to classroom curriculum. For example, in autumn, as daylight diminishes, teachers can connect that to reduced photosynthesis and slowed plant growth. How unusual is it for a Michigan ISD to have a Farm to School coordinator? Very. “I’m not aware of another one,” Alice says. But she sees the value up close. Being in the district “gives us credibility and access to the ISD resources,” she says. Her team can tap into the curriculum experts and instructional services to develop lessons that help the school also meet its broader educational goals. “I know schools are under a lot of pressure to hit the regulations and benchmarks.” Alice says. 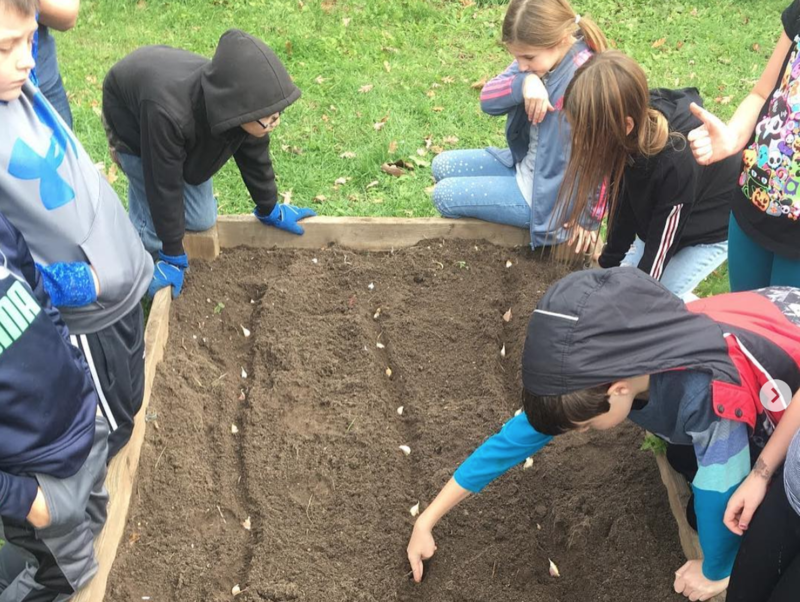 If schools see how Farm to School programming helps hit goals and is not a burden—not one more thing piled on teachers—“it makes it easier to be invited back and be invited into more schools,” Alice says. Groundwork has partnered with TBAISD on Farm to School programs for more than a decade. The ISD has been a key partner in institutionalizing the values of Farm to School—embedding gardening, cooking and nutrition lessons into school curriculum, and fostering healthy school food environments. Years ago Groundwork Food & Farming veterans Diane Conners and Meghan McDermott recognized the value in having TBAISD—an established resource for schools in our five-county region—also promote local food in schools. TBAISD’s Farm to School team includes Alice and two AmeriCorps VISTA service members, Delaney Ryde and Connor Drexler. They work in 10 schools, within six of the ISD’s school districts. The three approach schools that have already shown some kind of interest in developing a healthy food culture. Maybe the school has a garden or serves local food in the cafeteria. They found they can make a lot more progress more quickly when lending momentum rather than starting from scratch trying to prove to a skeptical superintendent there is value in Farm to School programming. One shining example of starting up quickly is the Buckley Community Schools. Typically, Alice and her team begin a school relationship with a conversation about the school and learning environment. They take that information and return with action plans that show the scope of the project and how they will evaluate progress. “In Buckley, we said we’d like to talk about what it would take to put in a garden,” Alice says. She was thinking for the following year. But when the principal said, “Great, let’s do it,” he meant now. The school brought in a tractor, tilled a giant plot of land and supported a summer camp for gardening, facilitated by TBAISD nutrition educator Terra Bogart, who also works with Buckley. “They harvested bushels and bushels of beans, squash the size of heads. We asked how can we help, and they were like, ‘We got this.’” Alice says. The staff and families believed in the Farm to School idea. It had instant momentum. 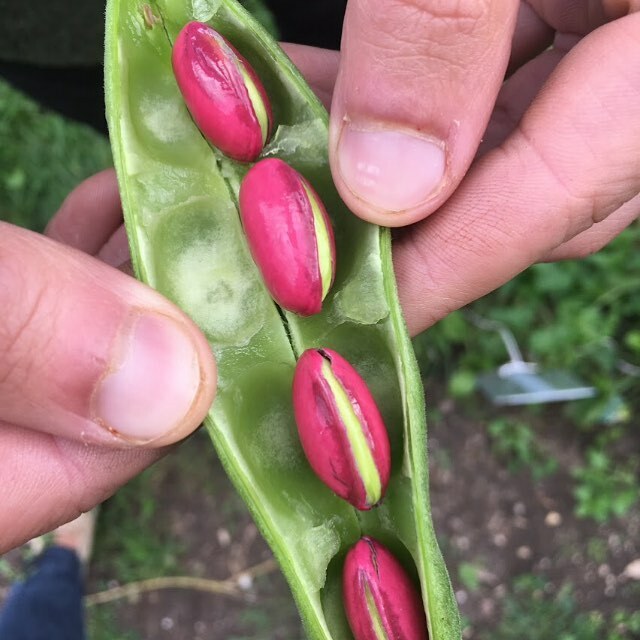 As student excitement around the Lakota squash shows, as the Buckley garden shows, there is something about growing vegetables that resonates with so many of us, and it also displays how a healthy food culture can be ignited at school. “She felt compelled to tell me. It was so gratifying,” Alice says. In 2016, Groundwork Center partnered with Munson Healthcare, TBAISD and several additional community partners to seek grant funding from the Michigan Health Endowment Fund to establish a Farm to School Coordinator position at TBAISD. In November 2017, Steve Urbanski, a former TCAPS principal and ardent Farm to School supporter, was hired as the ISD’s first Farm to School Coordinator. After serving as TBAISD’s Farm to School VISTA member during 2017–2018, Alice succeeded Steve in the coordinator role and currently coordinates the TBAISD Farm to School team.